Virtual private network or VPN plays an important role to keep your data and system security intact while being online. 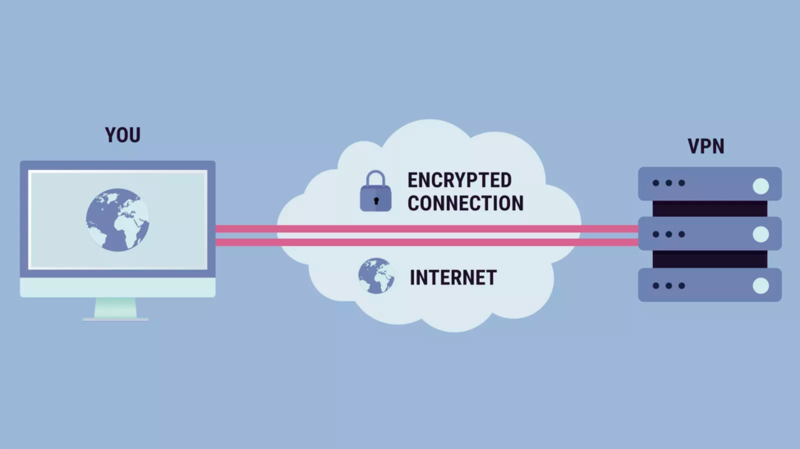 It is an encrypted connection over the Internet that helps you connect your device to a network. This encrypted network ensures that whatever data you share is transmitted safely. It reduces the nefarious attempts by cybercriminals who try to eavesdrop your network to steal sensitive information. You can use VPN services to work remotely in a safe environment. This smart technology is widely used across the world for better security. Once you are availing VPN services, all the traffic is routed through a secure encrypted tunnel to a server operated by the VPN company. Here, the traffic is encrypted between the device and the network, thus it remains private as it travels. Once data is routed through a secured encrypted network, no one, even your ISP won’t be able to see your web traffic. While using VPN services, all your traffic appears to be coming from VPN’s server, thus the actual IP address remains hidden effectively. While IP addresses are distributed geographically, it could be also used to find your location. In such a case, VPN offers an effective solution to keep your IP address hidden. Here, if someone tries to check your IP address, he will see the IP address of the VPN server. For example, if you are connected to a VPN server in New York, it will appear like you are accessing the Internet from the USA. While VPN effectively hides your IP address, it doesn’t completely anonymize your traffic. Important VPN locations it supports. Which level of encryption does it use to keep your data secure? Other necessary security features like VPN speed test, split tunneling, DNS support, and more. How to set up and use VPN on Windows 10? 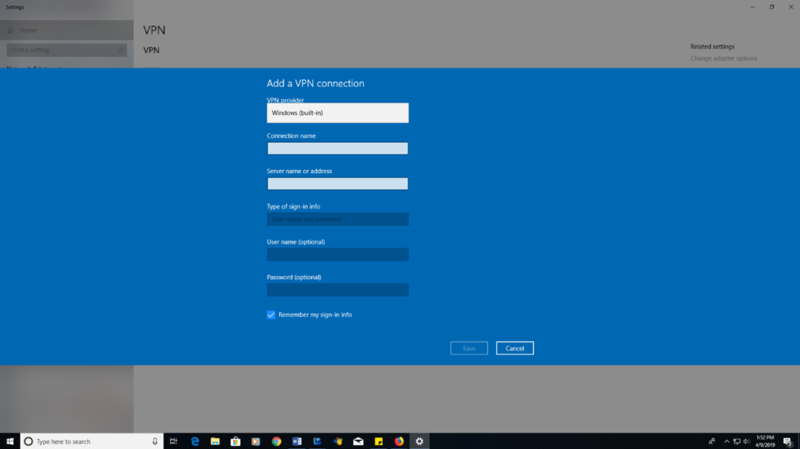 Once you have selected the VPN service provider, you need to follow below mentioned steps to set up VPN on your Windows 10 system. Here, you need to create a new connection to join your VPN. To do this, head to the Start button, right-click on it and select Settings. On the Settings window, go to Network & Internet > VPN. Alternatively, you can search “VPN” in the search box on the taskbar and select VPN Settings. Once you are on the VPN Settings window, tap on “Add a VPN Connection” to add a new connection. VPN Provider, by default it remains Windows (Built-in). Connection Name, here, you need to mention a name that will help you recognize your VPN connection profile. Server name or Address, here, you need to mention address for the VPN server. VPN Type, you may not find this option every time, though here you need to mention the type of VPN connection your company or VPN service uses. Type of sign-in info, here, you need to mention sign-in info including user name and password. Once you have set the VPN profile, you can easily connect to the VPN. To do this, follow these steps. On the taskbar, select Internet Access icon. Select Connect beneath the VPN connection you wish to use. Alternatively, go to Settings > Network & Internet > VPN. Here, select the VPN connection. Enter sign-in details when prompted. Here, you can select the Advanced Options to access additional settings. 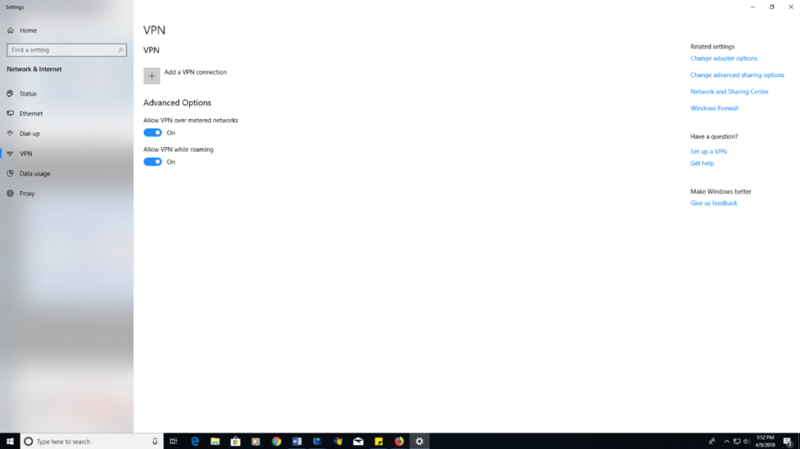 So, this is the simple process you can follow to set up and connect to VPN on your Windows 10 system. If you have some suggestions related to VPN, then feel free to comment below.